Incredible Blowout Rates!! We just dropped our rates $50 per month for a limited time only!! Hurry now before special ends and rates go back up!  Cabot Crossing offers something for everyone. See our available amenities to find something that speaks to you. Get a sneak peak of the good life here at Cabot Crossing. Each of our residents enjoy amenities year-round. Pet Policy: Cats and Dogs are Welcome. Dogs must be under 70 lbs and Cats must be indoor cats. Fish aquarium must be under 5 gallons. Limit Two Pets per Apartment. Please call for more information. *Breed & other restrictions may apply. Parking Comment: We offer surface lot parking. Please call us for more information.